Fiscal consolidation is not only needed to bring down current debt levels and the high fiscal deficit of 9 percent in the United States. 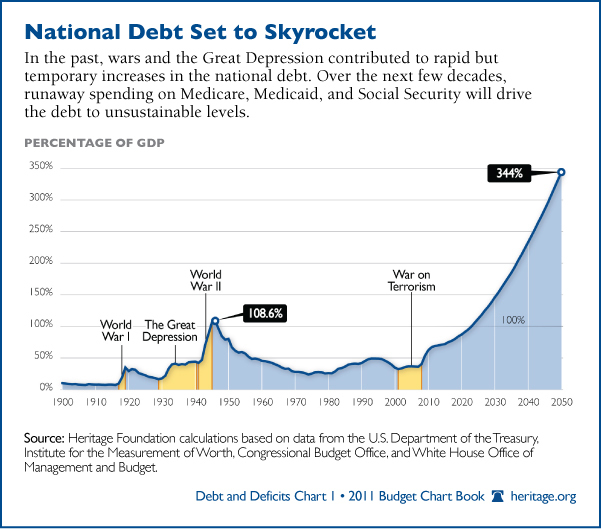 Without radical reforms in Medicare, Medicaid and Social Security which will mainly cause the rise in debt, the Government Debt will actually explode to 350% in 2050. 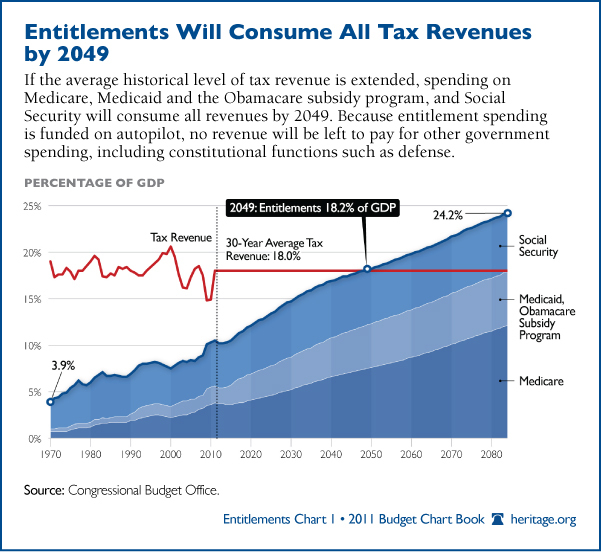 In fact entitlement spending will consume all tax revenues by 2049.